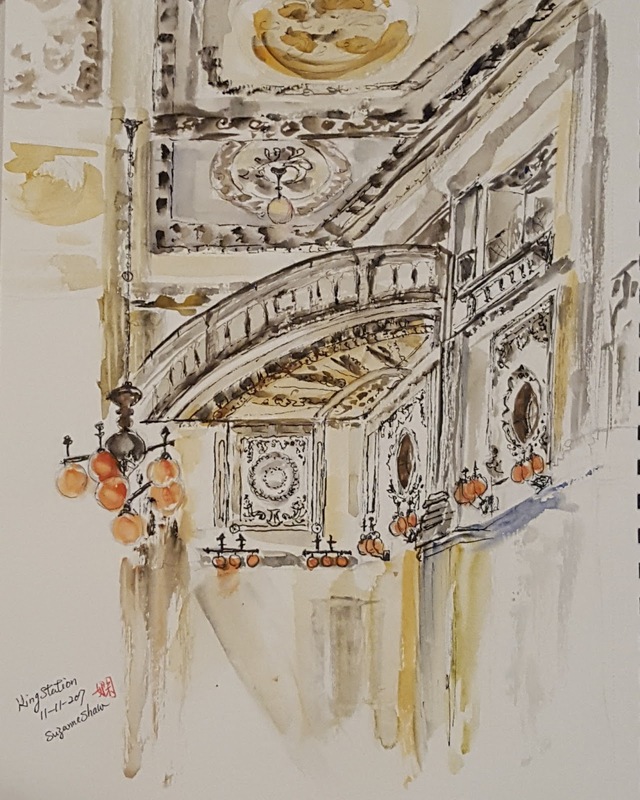 Joined Seattle urban sketchers for three years, I am so grateful and fortunate finding this group, in which enable me to connect my passion of creating arts. Sketching is now more like therapy, a form of life! I sat inside the station looked at grand interior...beautiful shine of lighting, then was stuck into its unique scene...till sketches sharing! Beautiful results from a challenging view, Suzanne!